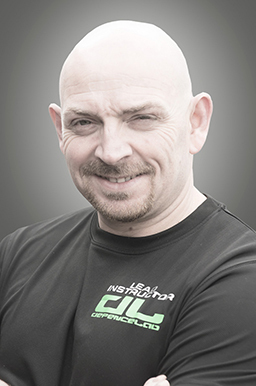 Jay is without doubt one of the leading Physical Skills instructors in the U.K. today with years of experience under his belt in not only the martial arts but in the security field as well with qualifications in Conflict Management, Control and Restraint and Self-Defence. He has over thirty years of experience to his credit in martial arts and has more than 15 years working as a door supervisor and security consultant and trainer to people in the Armed Forces, Foreign Military and Police Services, Social Care Directorates, NHS, Jay is also a Master Personal Trainer so if your looking to get fit through a Martial Art or Exercise you’ve come to the right place. Jay has been a professional martial arts instructor, teaching children and adults for over 15 years. Throughout that time he has helped many students to achieve their personal goals, and takes pride in helping his students. With a wide and varied martial arts history which includes the rank of 5th Dan Yoshinkan Aikido, Jay is the driving force behind Defence Lab Stafford.